Intel’s latest 7th generation CPUs were launched a couple months back with a focus on the mobile markets. Today, Kaby Lake finally comes to the desktop with eager hands awaiting. A new platform is introduced with the Z270 chipset, new overclocking features, Optane Memory, and an unlocked i3 CPU. Read on as we put the flagship Core i7-7700K under review! 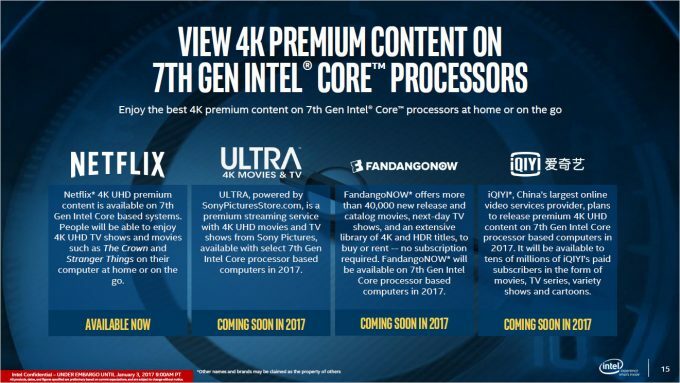 Back in late August, early September last year, Intel introduced its latest generation Core processors, Kaby Lake. At the time, the focus was on notebook and mobile designs, featuring 4-15W TDP devices. Low power, compact, high performance chips that are readily available in new mobile designs. You can read up on some of the basic design overviews of Kaby Lake in our previous article, but today marks the release of the latest desktop releases, starting with the headline chip, the Core i7-7700K. Kaby Lake for desktops brings with it a new chipset to work with, and that entails new motherboard designs and features. 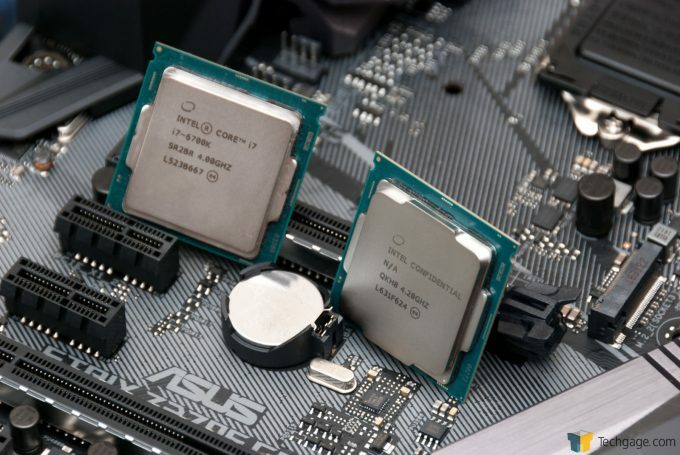 For the most part, Kaby Lake is not too dissimilar from Skylake, as they both share the same socket (LGA1151), and as is usually the case with such launches, Kaby Lake is backwards compatible with the previous chipset (Z170, B150 etc), at least with a firmware update. To take full advantage of the updated features though, you’ll need the new chipset, Z270, which we’ll cover in this review too. The main new features of the platform include an update to Speedstep, native HEVC 10-bit plus VP9 encode and decode, a new SSD trick with something called Optane Memory, and an overhaul to the integrated graphics. There are quite a few Windows 10 specific features too, along with some architecture changes under the hood regarding I/O with PCIe lanes, Thunderbolt 3.0 and USB 3.0. Finally, there are several changes to the way overclocking is handled, including tweaks to how BCLK works and a decoupling of AVX instructions. All of these tweaks we’ll get into in a little bit. We should point out that a number of these features are for Kaby Lake in general, while others are specific to certain products within the generation. The new Speedstep or Speed Shift (depending on where you look) is an extension of Turbo Boost 2.0 that changes the way turbo frequencies and idle states are handled. Previously, CPU speed scaling was handled by the OS or software, dropping frequencies when idle to save power. Speed Shift passes control from software to hardware. This shift to hardware control means faster switch speed… much faster. Under software control, stepping was enabled after 15-30ms, the new hardware control drops this down to 1ms. There aren’t any details about the number of steps and what frequency ranges these include, but the net result is a significant improvement to response times when ramping up for heavy workloads, and dropping back down to an idle state to save power. While these improvements are not going to be appreciated as much on desktop processors, especially if you enable high performance mode in the OS (which prevents sleep/idle states and frequency scaling), it does mean that normal office PCs will see improved responsiveness. 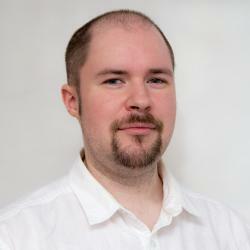 Hardware accelerated video has seen a massive boom in the consumption and generation of media. In the good old days of watching videos on PCs, most of the decoding was done through software via the CPU. For lower resolution content, this was fine, but when 1080p came along, and now 4K, software decoding became impractical, especially for low-end CPUs. These days, pretty much all CPUs and GPUs have some kind of video acceleration enabled, even on mobile. Thing is, video is changing as more and more people are not only watching 4K streams from the likes of Netflix, but also uploading video in real-time with ‘Let’s Play’ gaming. Not only were new codecs required for more efficient streaming, but HDR video meant that higher bitrates are required. HEVC or H.265 was introduced a couple of years ago under Intel’s leadership to help mitigate the problems of streaming 4K video over Internet connections. While H.264 has served us well, it starts to become bloated when dealing with 4K content, putting a massive strain on often sluggish and arbitrarily capped Internet connections. H.265 allowed for the same image quality at a much lower bitrate, anywhere from 30-50% less, but at the cost of more processing power. Video has continued to evolve though, and a new feature is on the block with HDR video, or High Dynamic Range. This takes advantage of a wider color gamut for a significant increase in contrast. Typically though, this requires 10-bit color channels in the video, rather than 8-bit. The new codec support on chip means it can decode these richer color videos. Why is that important? Netflix streaming of UHD content will require this, along with Windows 10 (and a compatible TV). The VP9 codec, which is an alternative to HEVC, also gets hardware integration, but no 10-bit color support. This is mainly for Google’s own YouTube streaming platform. These gains are not just for decoding video, but encoding too. As streaming from your own computer becomes more common, rendering the game and encoding video at the same time, can put a serious strain on a system. External HDMI capture cards are common not just for consoles, but PCs too. One less component in the chain means lower latency and less to go wrong. Nope, that’s not a typo, Intel is changing the naming scheme of its graphics cores to simplify some of the technologies. Originally, there was Iris and Iris Pro graphics, which are a separate, but more powerful line of Intel’s HD series integrated graphics. However, some of the waters became murky when EDRAM was introduced. EDRAM is dedicated on-package RAM that significantly improved rendering speed and some computation workloads of the CPU/IGP. The problem was that there were certain Iris Pro enabled processors with and without this extra RAM. Starting with Kaby Lake, all IGPs with EDRAM will go under the naming scheme of Iris Plus. Currently, the only supported chips with Iris Plus are the U-Series processors, which are the 15-28 Watt chips. S-Series chips, which are the performance and high-end chips such as the i7-7700K, will only have the HD series graphics, rather than Iris Plus. Whether we are likely to see another Extreme Edition CPU with EDRAM again is anyone’s guess. In general though, Iris Plus is significantly faster than the HD graphics. By Intel’s own metric, Iris Plus is up to 65% faster in 3D rendering and gaming, and 40% faster using QuickSync video rendering, when compared against the HD 620. But that won’t have much bearing on the desktop parts we’ll be reviewing later on with the i7-7700K.